Magisto, which offers a cloud-based video editing service, is launching its tool in public beta today, in an effort to “make your videos worth sharing”. The company is also announcing that it has raised a $5.5 million Series B Round led by Hong Kong billionaire Li Ka-shing’s private investment arm, Horizons Ventures, with earlier backer Magma Venture Partners participating. Magisto is an intriguing product. It basically takes unedited video footage and automatically – as in, without the help of actual people – turns it into short movies that are more fit for sharing with others. Users can select up to 16 video clips (or up to 600 MB) to upload, pick a title, select music, and with the click of a button, Magisto will try to find the best footage in the videos and edit them into short movies ready to be shared on Facebook, Twitter, YouTube, or via email. 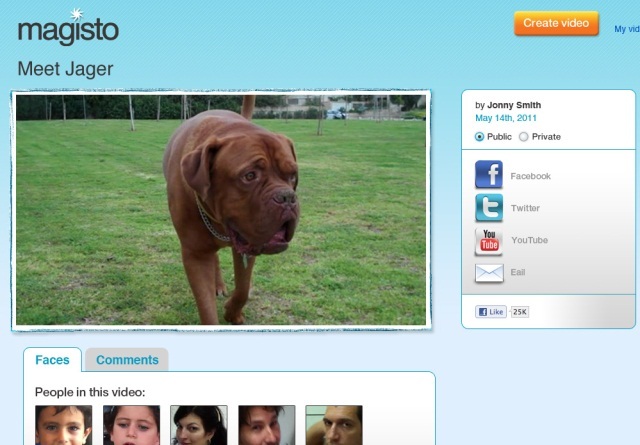 It’s worth noting that Magisto’s proprietary technology apparently goes far beyond facial recognition – the company claims its video editing tool understands the difference between people, pets, backgrounds, objects, behaviors and landscapes and is even capable of inferring a user’s ‘intent’ by analyzing the sounds and images on the video. The company says all major video formats (MOV, ASF, AVI, FLV, MP4, etc.) are supported. As they say: the proof is in the pudding. Go check it out and tell us if Magisto works as advertised.